The Ketogenic Diet: The FASTEST natural way to lose fat without losing muscle. 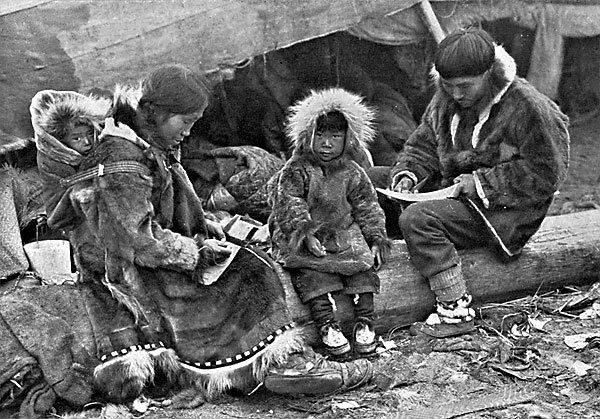 Since the ancient times, the Inuit tribes of the arctic regions have lived only on a diet comprising of meat, fish, and fish and animal oils. And these people are absolutely healthy as compared to the vegetable and farm produce eating people of the rest of the world. And this becomes a hot topic of debate for everyone in the field of dietary sciences, medicine and fitness. How are these tribes healthy even though they eat only meats and oils – that’s only proteins and fats? There have been theories that their genetics are responsible – but these theories have been smashed by research and studies and the pioneering effort of an explorer by the name of VILHAMJUR STEFFANSON, who actually made himself a subject to the experiment an lived entirely on an inuit diet – without any sideeffcts whatsover. This diet, comprising of only meats and oils is called a KETOGENIC DIET. KETOGENESIS: What does it mean? The human body, as widely studied in the agrarian world today, widely relies on glycogen (carbohydrates) for producing energy for its functions. Now when this abundant energy source of glycogen, for some reason depletes and is no longer available to the liver, the body triggers a survival function. The body now starts breaking down Fatty acids and Proteins for energy production. Much like switching a car engine from petrol to CNG, or an electrical source from AC to DC. As per the wikipdia: When glycogen stores are not available in the cells, fat (triacylglycerol) is cleaved to provide 3 fatty acid chains and 1 glycerol molecule in a process known as lipolysis. Most of the body is able to use fatty acids as an alternative source of energy in a process called beta-oxidation. One of the products of beta-oxidation is acetyl-CoA, which can be further used in the citric acid cycle. During prolonged fasting or starvation, acetyl-CoA in the liver is used to produce ketone bodies instead, leading to a state of ketosis. How does Ketosis help in BodyBuilding? When it comes to competitive bodybuilding, there are two stages: Gaining and Cutting. The usual gain phase is where the athletes are on a high carb, high protein diet supplementing their workouts as they are trying to gain as much muscle mass (size) as possible.Though it is possible to gain muscle without gaining too much fat in the process by following a Gluconeogenic adaptation of the ketogenic diet – but i shakk leave that for another article. The cutting phase is when a bodybuilder is trying to cut down on all possible body fat so that the muscle definition can be seen through the skin. Therefore in the cutting phase, many bodybuilders switch to a ketogenic diet – of only high amounts of healthy fats (especially rich in omega 3) and moderate amounts of protein – thus forcing their bodies to burn all the fat that they have accumulated for energy and thus cause a higher rate of fat loss without losing too much muscle mass. Can you keep switching between ketosis and a regular diet? NO. unless you are doing it just for fun and results don’t matter. which i hope is not the case. Coz as i said before, it is a switch in the system. Your body is switching to an alternate energy source. It takes time for your body to adapt to it. and once it has adapted to it, it takes time for your body to switch back to accepting glycogen as the primary energy source. 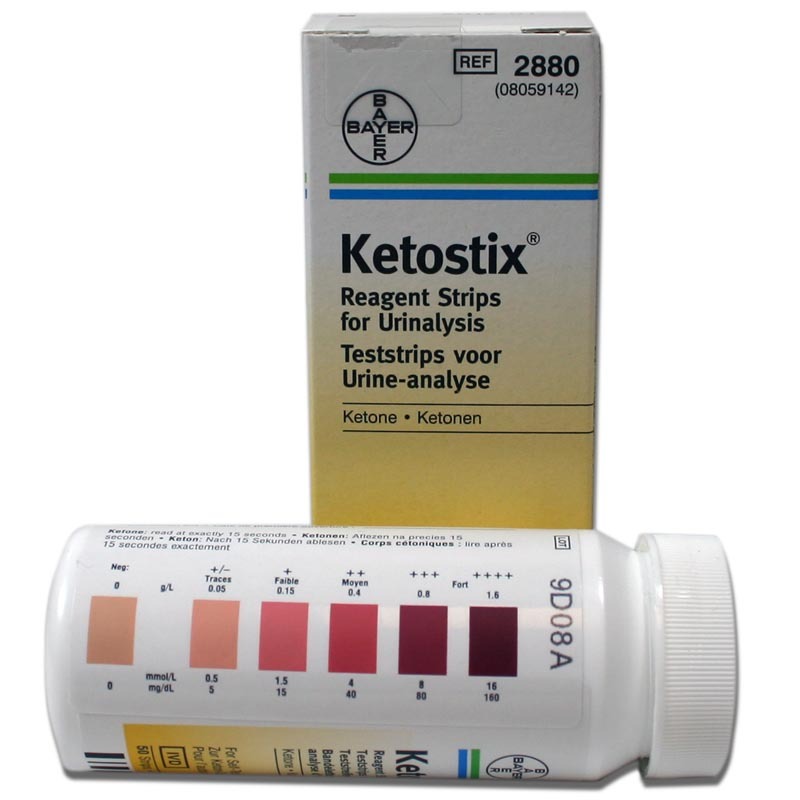 If you are going on a ketogenic diet, to test if your body has actually switched to ketosis for energy, you can test your urine with KETOSTIX. It is a commonly used diabetic testing aid that tests the levels of ketone in your urine. Please note that this will help you diagnose ketosis on in the early stages where your body is still not fully keto adapted. Ince your body is keto adapted, it will stop excreting ketones at diagnoseable levels as it gets more efficient at utilizing the ketones. And therefore will not give a visible result on the ketostix even though you are on ketosis. KETOSIS FAILURE: if you consume more than approx 30 grams of carbs in a day, your body will automatically switch back to buing glycogen for energy. The 30 gms limit varies from person to person – some people shift to ketosis on higher amounts too. but 30 gms is considered the usual standard for a person with lean body weight between 50 to 80 kgs. Even when you are aiming for 30 gms, you should actually try to not consume any carbs at all – because still 30 gms will sneak into your diet. The only carbs allowed on ketosis are cruciferous veggies and green leafy vegetables once a day – thats spinach, lettuce, methi, brocolli for fiber. Mind you, there are no cheat days on a ketogenic diet. But if you want to make it a longterm diet, you could take a break day every 15 days, followed by an intense workout the next day to immediately deplete all the glycogen so that your boy can switch back to ketosis asap. What ‘to and not to’ eat on a Ketogenic Diet? PROTEIN SOURCES: Meats, Eggs, Poultry, Fish, Protein Bars and HYDROLYSED WHEY PROTEIN. FAT SOURCES: Fish Oils, Cheese, Peanut Butter, Olive Oil. Avoid having more than a cup of milk and curd per day if possible. No sugar. No grains. No Beans. No Agro produce whatsoever. What Supplements enhance a Ketogenic Diet for fat loss? Whey Isolates, Fish Oils, Carnitine, Caffeine, Guarana, Yohimbine. PS: Switching off carbs can sometimes result in cramping of muscles during intense workouts. Taking a potassium supplement and a zero carb BCAA mixture with salt keeps muscle cramps and fatigue at bay. If you have enough salts in your diet, this wouldn’t be an issue. Having CoQ10 enzyme capsules help improve digestion and bolster immunity while on the ketogenic diet. Having VSL3 for 2-4 weeks can help restore the healthy gut bacteria that sweetners may destroy. Does a ketogenic diet affect your fitness levels? Now this is a point on which many fitness professionals would argue. Professional bodybuilders that i have spoken to say that your strength reduces on a ketogenic diet – which is scientifically quite sound. You might not be able to lift the same amount of poundage on a ketogenic diet as you might be able to on a fully carb loaded day. But research argues that not only are the inuit tribes STRONG and RESILIENT in terms of endurance, but also explorer Frederick Schwatka, pulled off one of the greatest feats of endurance (long distance sledging across the arctic) on a fully ketogenic diet. From my own experience i can say that as my body is used to carbs as a dominant source of energy, when i switched to ketosis, the first week was a struggle. I felt drained, weak and not as strong as usual. Even my poundages (amount of weight i lift in a particular exercise) dropped considerably. But by the second week i was feeling quite normal and my poundages returned to normal – in fact i was feeling quite lighter and breezier. I don’t discount a feeling of placebo here In both situations. Losing weight and gaining a definitive muscle definition might have made me feel stronger and more confident. While the autosuggestion of people and years of thinking that carbs give the body energy, into me believing that i got a little weaker. Addendum: my recent studies show that my poundages are perfectly high and normal right upto my personal records even on ketogenesis. Can you run a marathon on ketosis? Now this is a question where people generally succumb to common perception. They believe that since they have always read about carb loading and glucose refilling during marathons, you probably cant run a marathon or do a highly intensive endurance activity on Ketosis. BUT THEY ARE WRONG. Since most of the initial studies done on ketosis were actually endurance activities iun extreme conditions, its actually a no brainer that ketosis works perfectly well even on endurance tasks. If there was any doubt about it still, a friend of mine who is a marathon runner – ZEEBA KHAN, recently volunteered to run marathons on a ketogenic diet. She actually managed to better her time running on a ketogenic diet since it made her lose weight without losing her muscle mass and endurance capabilities. How do you prevent binging or control food cravings on a ketogenic diet? I keep a snack pack at hand all day. Infact, on a ketogenic diet, im constantly eating. My snack poack contains Almonds, walnuts, cheese cubes, almond barfiis (sweets) sweetend with sugarfree and sugarfree chewing gums. These hold me off very well uptill the next meal. What are the FAT LOSS results on a ketogenic diet? In a nutshell, I lost 4 kgs on a purely ketogenic diet in a month – and most of it was fat loss. Most of my muscle and water remained intact. Which is always the greatest challnege in the war against fat. To lose weight without compromising strength or getting weaker. How to speed up the fat loss results of the ketogenic diet? If you are doing the ketogenic diet purely for fat loss, and want fat loss at a hyper accelerated rate and do not mind the drop in strength and muscle mass, INTERMITTENT FASTING KETOGENIC DIET is your best bet. Here you eat all your designated macro nutrients within 2-3 meals set within a 6 hour feeding window and fats for the other 18 hours of the day. This not only speeds up the fat loss without any derogatory health effects but also improves your metabolism and hormonal system by resetting the insulin release mechanism of the body on a daily basis. But come what may, if you plan to adopt this diet and find the need for consultation, do consult a proper nutritionist and a not a quack. It is also reasonably expensive to maintain in areas where meat is not abundant. So, be wise. Do your own research. Consult an expert. and all the best!